PBS KIDS today announced that its new “augmented reality app” is available for the iPhone and iPod. The new Apple app is call “Fetch! Lunch Rush”. I have generally not been that excited about the PBS children apps which the singular exception of the fantastic “Monster at the End of the Book” which deserves its own post. But “Fetch! Lunch Rush is worth a shot if for no other reason than it is PBS and it is free. To play Lunch Rush, you need to print out a PDF of game pieces from your computer which means you have to give up your email. Really, an i-Pad app should be self-contained and I’m not real impressed with this one. 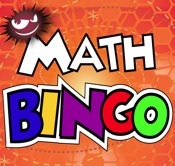 But if you are looking for a free simple math app you can give this one a try. L’Escapadou puts out a kids’ crossword puzzle called Montessori Crosswords. It started out as a really good – the only good one I have seen in fact – crossword puzzle for young kids learning definitions and learning to spell. 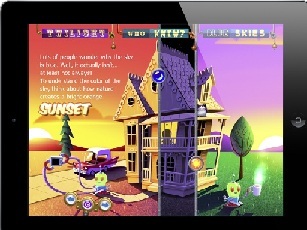 It has evolved into a fantastic iPad app because L’Escapadou continues to make quality updates. They had a great update a few months back and, when I returned from vacation yesterday, I uploaded another great update that makes the game that much better. The gist of the game is that it is a picture crossword. You see the picture and must spell the word. If you have a child learning to spell and learning vocabulary – albeit apparently British vocabulary – this game is a must get. Let’s start with the good: Ideal Binary has put together a beautiful iPad version of Rapunzel: it is downright brilliant and your children are going to love it, read good sophisticated children’s vocabulary. I can’t underscore this point enough: the quality of this iPad book is just fantastic. That said… I hate the book. Rapunzel is just an awful story on every imaginable level. People were so dumb when they made up these stories. No one cared what impact it would have on children. The values of this book are awful. Sure, Dad, go steal from the witch, it is all good. The ends justifies the means. And that is not even the worst of it. The quality of the interactivity in the Rapunzel iPad book is so fantastic I still read it – occasionally, including last night which precipitated this review – but I wince though most of it. The authors took some liberties with Rapunzel as Disney just did (I have not seen it). So why not go all the way in and make it a story that parents can actually read and explain to their kids? I love Cosmo’s Day Off. It is my second favorite iPad children’s book of all-time. More on that in a second. 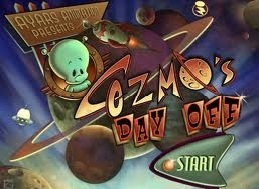 Cosmo’s Day Off is a children’s iPad book with just a ton of bells and whistles. I remember getting excited that every page in the Toy Story book had a fun button you could push on every page. Cosmo’s Day Off has some pages with maybe ten different things kids can touch that gives a cool response. Cosmo’s Day Off is produced by Ayers Animation which also did Jack and the Beanstalk, a decent book but nothing special – a largely old school, nothing new rendition of a story that has a lot of moral flaws (why exactly does Jack feel at liberty to steal?). Cosmo is in an entirely different league.